Picka Lyrics – Dilpreet Dhillon: This is an amazing Punjabi song sung by Dilpreet Dhillon and written by Sandhu Saiyanwala. Its music is composed by Desi Crew and video is directed by Shar S.
Jo dil vich hove, hain! Socha vich khove ke deed teri.. 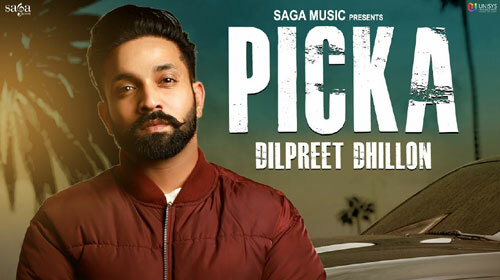 If you find any mistake in lyrics of PICKA LYRICS – Dilpreet Dhillon song please let us know in comments.